When summer rolls around we trade in our snow skis for water skis and hit the lakes for the weekend. We usually stay in condos or chalets at Norris Lake, Dale Hollow or Cumberland. Sometimes we offer an economical camping trip. Boats and meals are provided—just bring your sunscreen. You don’t even have to be a water skier to enjoy these summer trips, but if you’d like to learn this is your chance. Many of our members just go for the fun and the sun! Information about our summer trips is usually available in March and current trips will be shown below. You must be a member of CSC or one of the OVSC clubs to go on these trips. 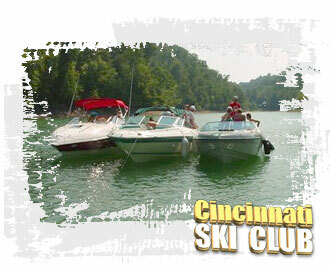 It's easy to join and easy to sign up for a fabulous water skiing weekend.